The International Boxing Hall of Fame announced today recently retired four-division world champion from Puerto Rico Miguel Cotto will make his first visit to Canastota to participate in 2018 Hall of Fame Induction Weekend festivities set for June 7-10th. Fighting out of Caguas, Puerto Rico, Cotto turned pro in 2001 and captured world titles in four weight divisions – light welterweight (WBO), welterweight (WBA, WBO), light middleweight (WBA, WBO) and middleweight (WBC). He holds wins over such standouts as Randall Bailey, DeMarcus Corley, Paulie Malignaggi, Zab Judah, Shane Mosley, Ricardo Mayorga and Sergio Martinez among others. 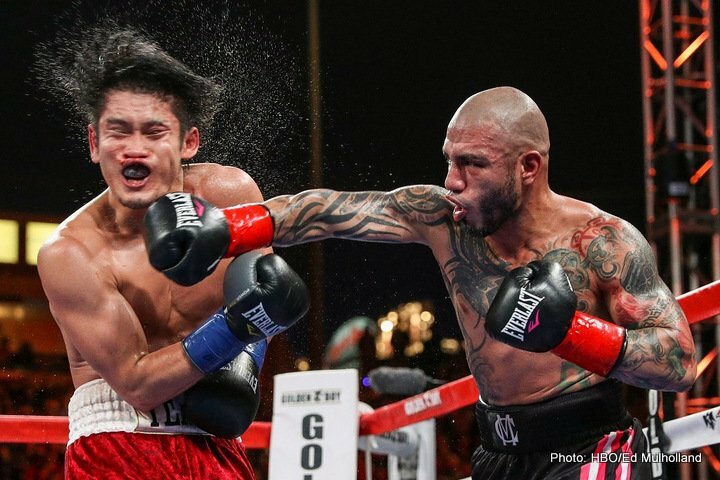 In December 2017 Cotto announced his retirement from the sport with a record of 41-6 (33 KOs). “I’m very excited to be at the International Boxing Hall of Fame and be part of a great weekend for boxing legends,” said Cotto. Cotto has a special connection to one of the Hall’s most unique exhibits. In 2007 Madison Square Garden (MSG) retired the boxing ring it used for every fight since 1925, including the 1971 Ali-Frazier “Fight of the Century” and donated it to the Hall for permanent display. Cotto is the last world champion to defend his title in the ring when he scored an 11th round TKO over Zab Judah on June 9, 2007 to successfully defend his WBA welterweight belt. “Cotto and MSG are forever linked together in boxing history and we cannot wait to have him step back into the ring when he is in Canastota,” said Brophy. An impressive list of over 35 boxing greats from the United States and abroad are scheduled to participate in weekend festivities including Mike Tyson, Kelly Pavlik, Antonio Tarver and many more.